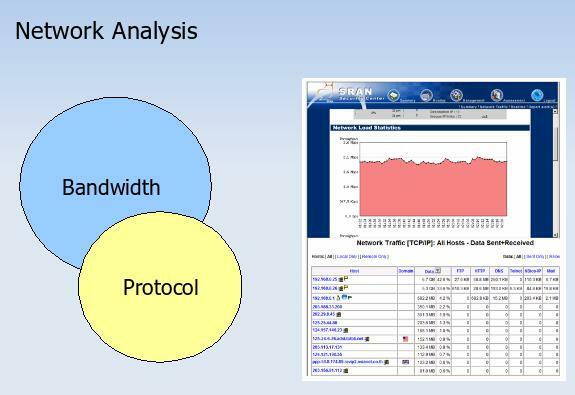 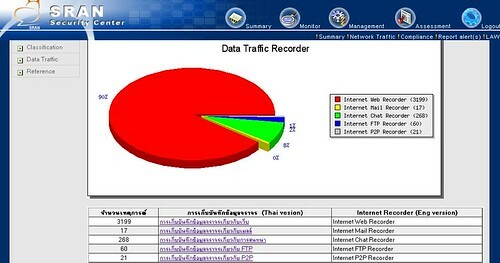 1.2 Traffic Monitoring: Customer can see a bandwidth consumption and break down into protocol (Web/Mail/Chat/Download/Upload/P2P usage) by each person (client). 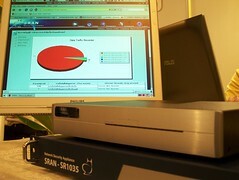 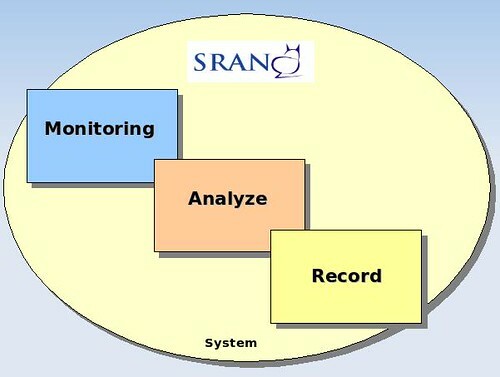 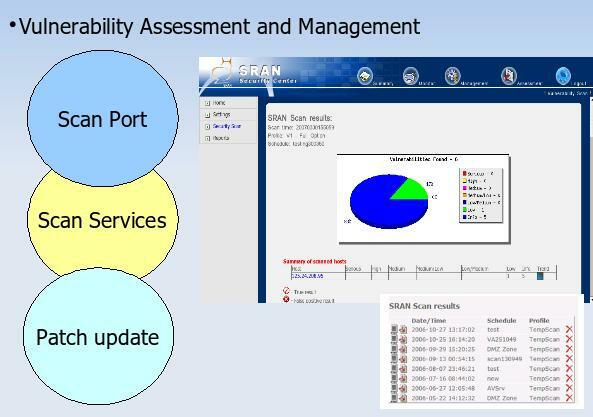 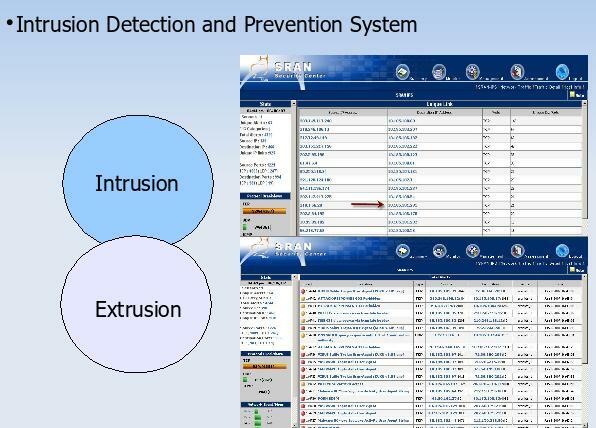 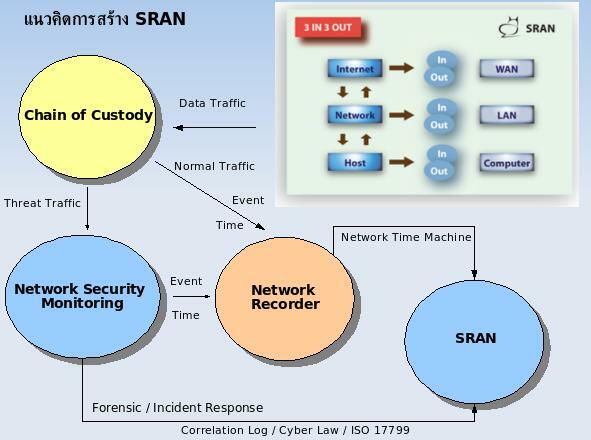 SRAN Security Center will analyze and drop or alerting to administration to handle when find malicious events. 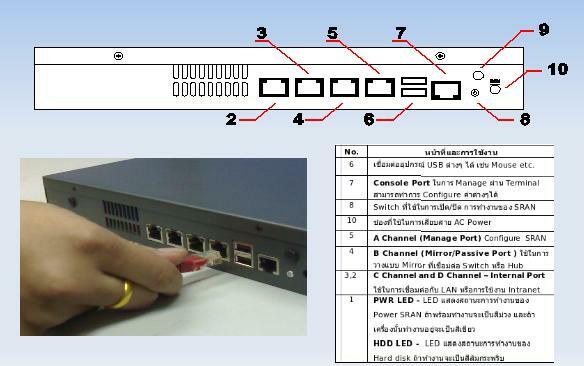 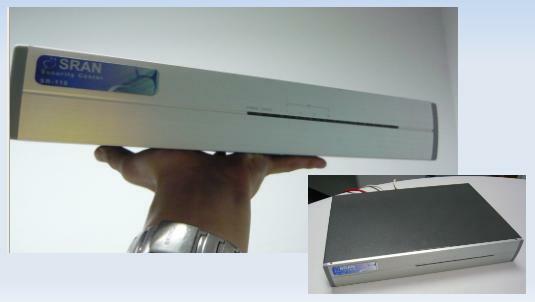 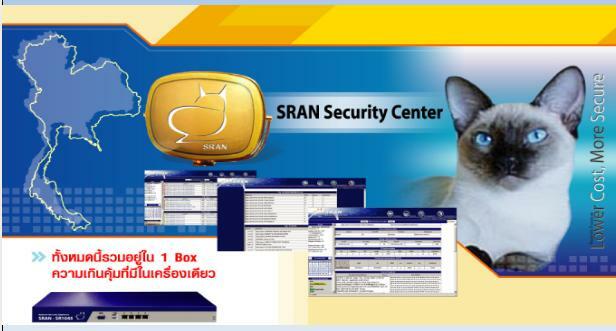 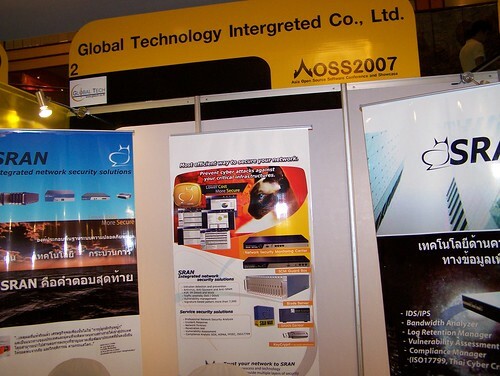 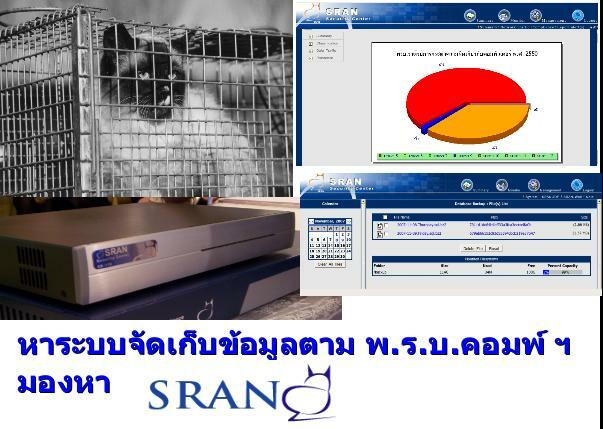 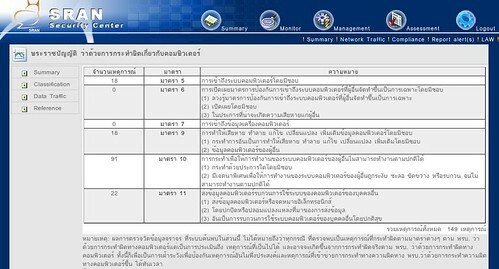 2.1 Normal Traffic > SRAN security Center will store a required field from Thai Cyber Crime’s Law which can identified who/what/when (Web/Mail/FTP Usage History) for over years. 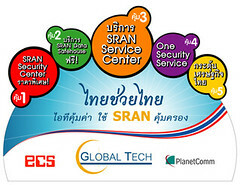 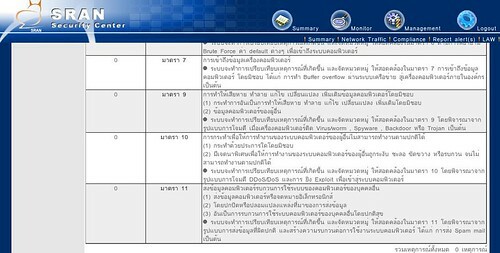 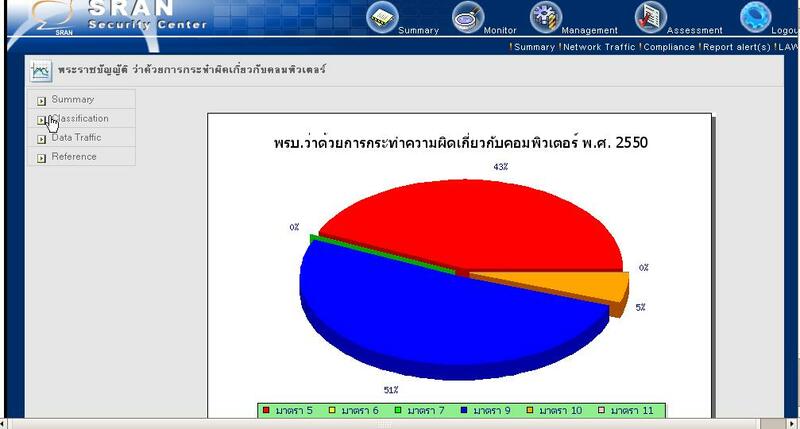 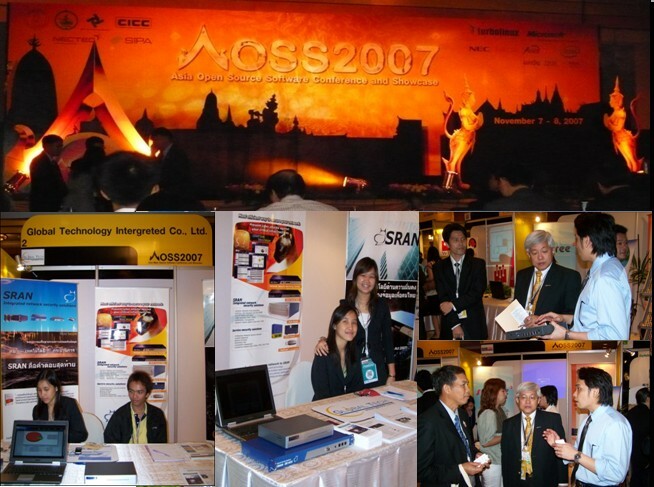 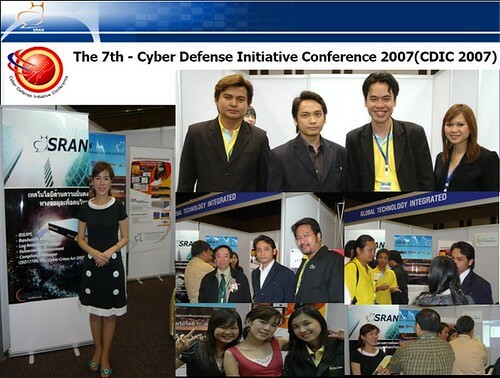 2.2 Anomaly Traffic > SRAN Security Center will generate a daily report (Top Ten Event/Top Ten Source IP/Top Ten Destination IP) and match them with Thai Cyber Crime’s laws if it finds malicious traffic.